I find it one of the hardest things to balance and preserve the ecosystem in my backyard when the lawn is overgrown and needs to be cut. Using a small battery operated weed whacker on wheels, I ventured into this task of trimming the overgrown lawn with a mixture of grass and weeds (wild strawberries). With the battery in, the motor is powered up on this weed whacker on wheels, ready to chop away creating a neatly kept lawn. Row by row we go, round and round a row at a time, as the weeds and grasses’ are trimmed to a perfected length. The sun’s heat was beating down and my wide-brimmed summer straw hat did not prevent the excretion of sweat flowing down on my face and neck. A moth appeared out of hiding, on top of the freshly cut lawn, as the weed whacker made a fresh-cut. The insect just sat there motionless. I stopped the motor and went over to investigate. Every species contribute to valued ecosystem services whether it is to generate soil fertility, or pollinate crops and contribute in some way or fashion to its cycle. This moth is an important contributor to my garden ecosystem. Once I confirmed that it was still alive, and thankful that I did not kill this innocent victim, I started up the motor again and kept on whacking away at the lawn, row by row. Accomplishing what I had set out to do, I took a break to observe the moth closer and captured its beauty. 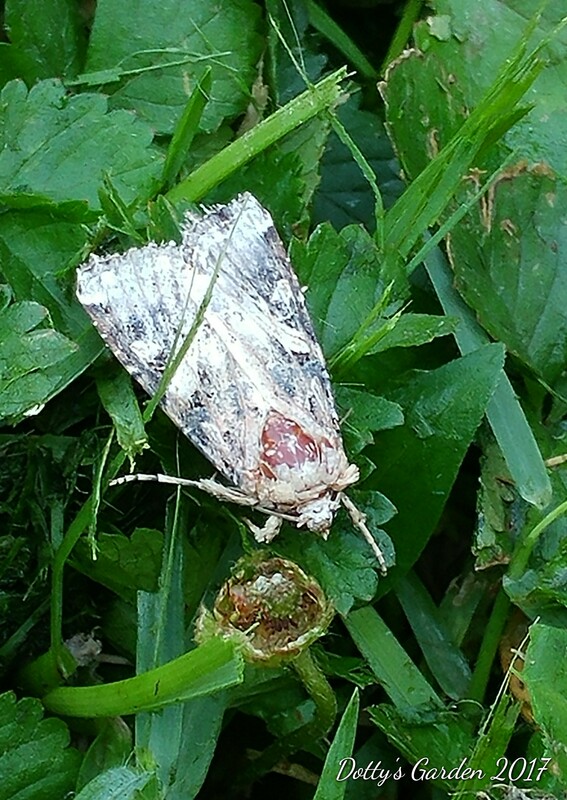 From the image captured and research of various moths, this moth appears to be Spodoptera frugiperda. 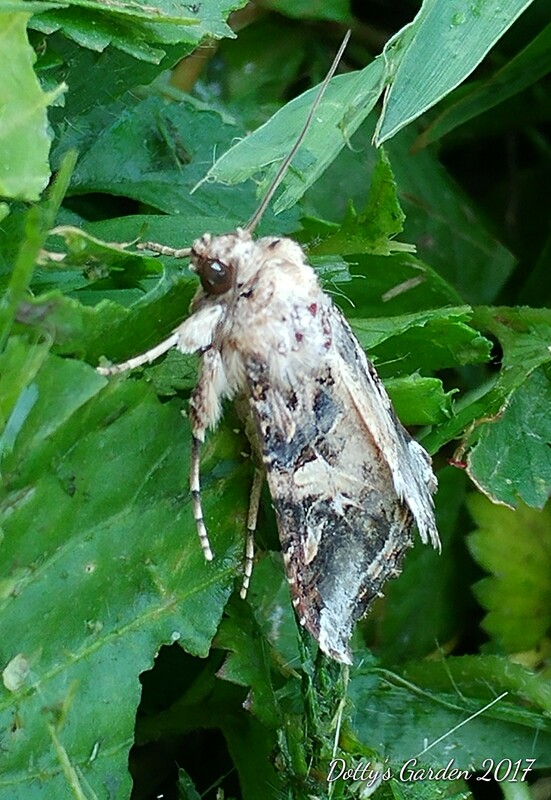 However, a bug expert identified it as Spodoptera ornithogalli. There is so much to know and learn in the bugs world that is really interesting. I can only imagine how traumatizing this was to be caught in all that exchange of the rapid movements of the whacker’s cords as it was cutting away? Was he disoriented from all the noise and action? This sure could not be music to its ears. Do moths really have ears? In fact, only some moths do. Their ears are tiny membranes on the insects’ thorax that are not easily seen. Many moths have motion stability sensors in their antenna. 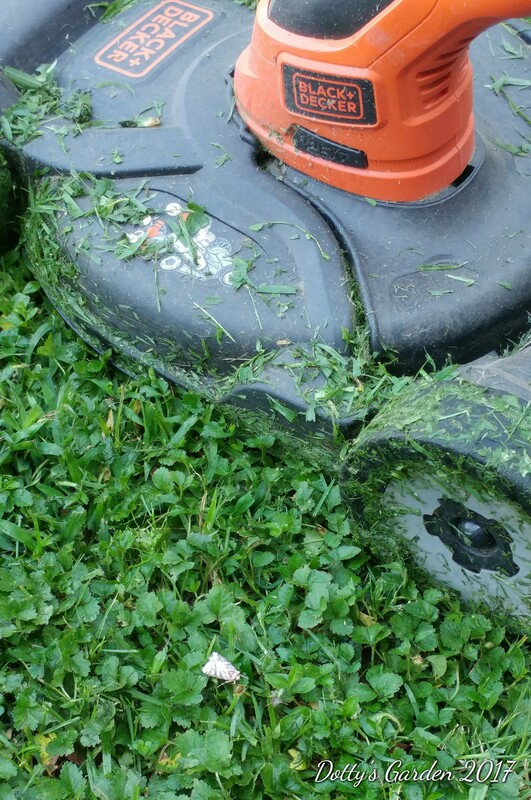 Whether this one has ears or just sensors the sound of this weed whacking machine on wheels was sure not a pleasant experience.